DBA Army Sets There are 10 products. 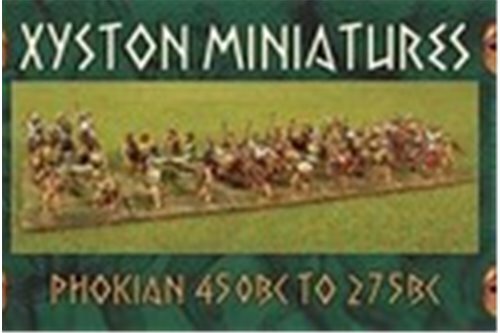 Contents: 4 Command (General, Officer & Musicians), 40 Hoplites (Heavy Infantry), 4 Peltasts (Loose Order Infantry), 3 Cavalry, 2 Psiloi (Skirmishers). Please note, box does not include spears (available seperately: ANC20065-50mm Wire Spears with Leaf shaped points). 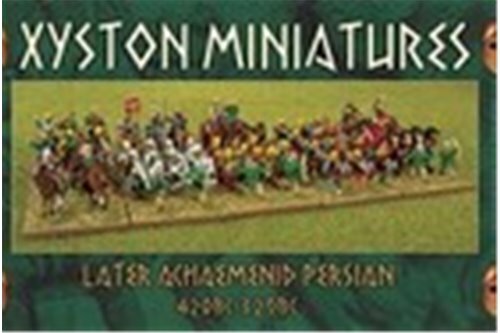 Contents: 4 Command (General, Officer & Musicians), 32 Hoplites (Heavy Infantry), 4 Peltasts (Loose Order Infantry), 3 Cavalry, 2 Light Cavalry, 2 Psiloi (Skirmishers). Please note, box does not include spears (available seperately: ANC20065-50mm Wire Spears with Leaf shaped points). 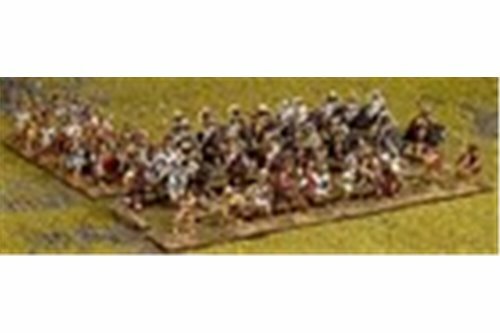 Contents: 4 Command (General, Officer & Musicians), 28 Hoplites (Heavy Infantry), 4 Peltasts (Loose Order Infantry), 6 Cavalry, 4 Psiloi (Skirmishers). Please note, box does not include spears (available seperately: ANC20065-50mm Wire Spears with Leaf shaped points). 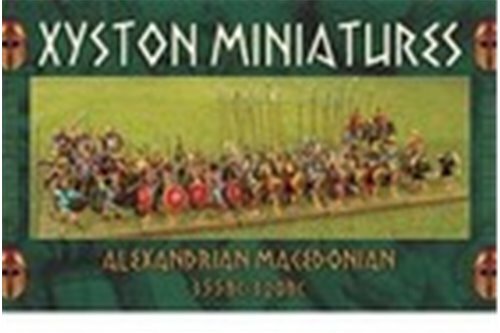 Contents: 1 Command (Cavalry General), 24 Hoplites (Heavy Infantry), 8 Peltasts (Loose Order Infantry), 17 Cavalry/Light Cavalry, 4 Psiloi (Skirmishers). Please note, box does not include spears (available seperately: ANC20065-50mm Wire Spears with Leaf shaped points). 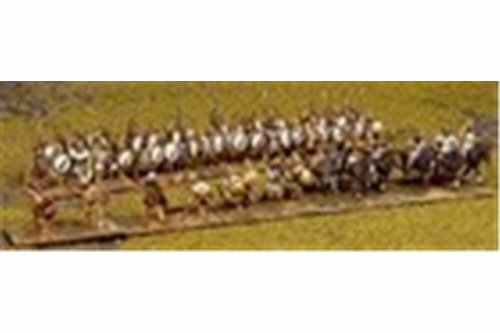 Contents: 4 Command (General, Officer & Musicians), 12 Hoplites (Heavy Infantry), 2 Light Cavalry, 14 Psiloi (Skirmishers). Please note, box does not include spears (available seperately: ANC20065-50mm Wire Spears with Leaf shaped points). 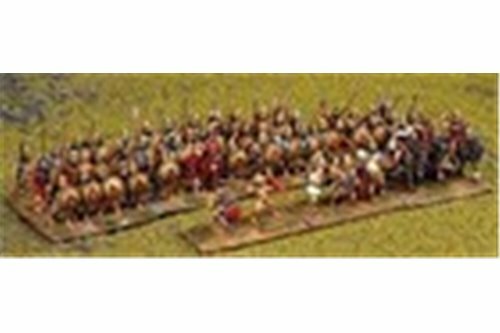 Contents: 3 Cavalry Command (General and 2 Officers), 6 Light Cavalry, 27 Peltasts (Loose Order Infantry), 4 Psiloi (Skirmishers). Please note, box does not include spears (available seperately: ANC20065-50mm Wire Spears with Leaf shaped points). 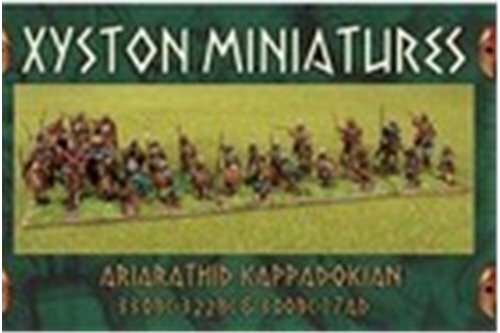 This boxed set provides you with a ''full option'' Ariarathid Kappadokian 330BC-322BC & 300BC-17AD DBA army. 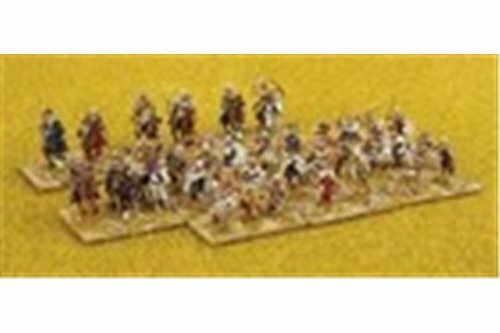 Contents: 3 Command (General & Nobles), 6 Cavalry, 4 Light Cavalry, 15 Peltasts (Loose Order Infantry) & 4 Psiloi (Skirmishers). Please note, box does not include spears (available seperately: ANC20065-50mm Wire Spears with Leaf shaped points).